Easter is just around the corner and I'm here today to get you all excited about it! 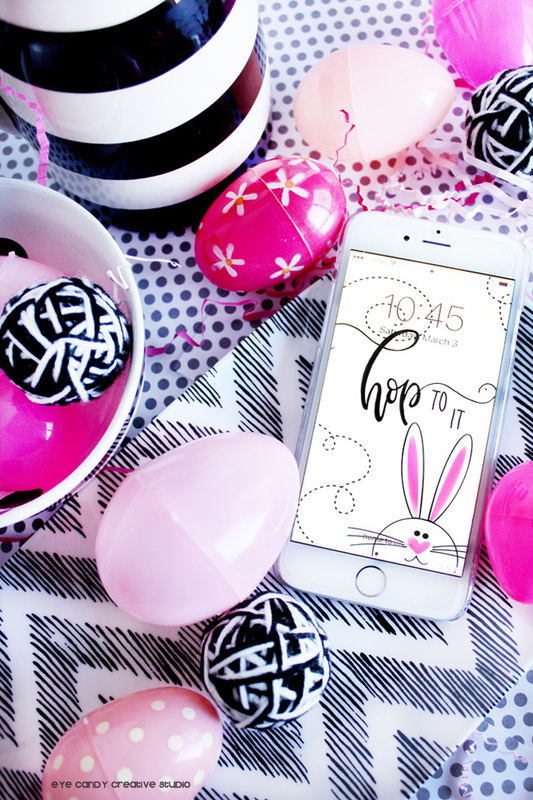 Who's looking forward to Easter egg hunts, having fun with your kids, Easter dinner with the family, going to church, dressing up and all of the magic that the day brings with it? You know me, I just HAD to design a fun new cell phone wallpaper design for us all, for this season. I mean c'mon, how adorable is this little guy . . . peeking out from the corner with his sweet little heart nose? I love this little bunny so much and he was my inspiration for this design. The color scheme was kept black and white to give it a modern edge while still keeping the whimsical about it. 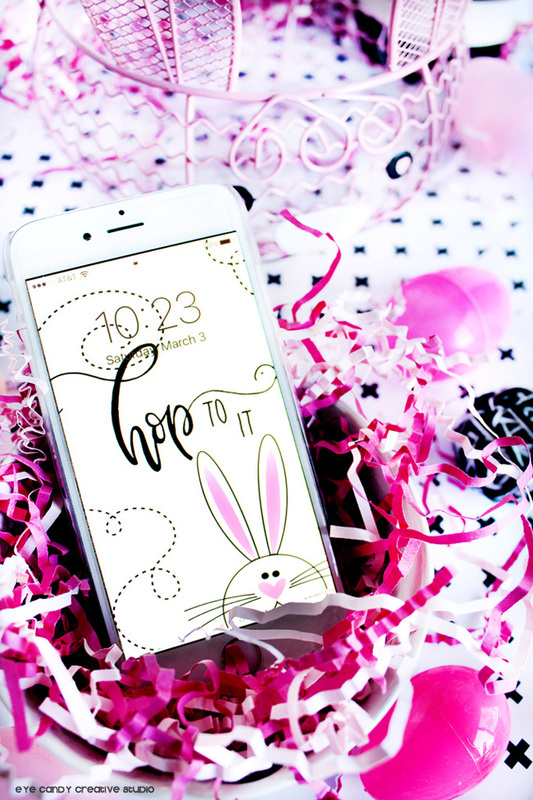 Once I had the idea, I hit my computer and made this little guy digitally and married it up with a little hand lettering to bring you this "Hop To It" FREE cell phone wallpaper background! 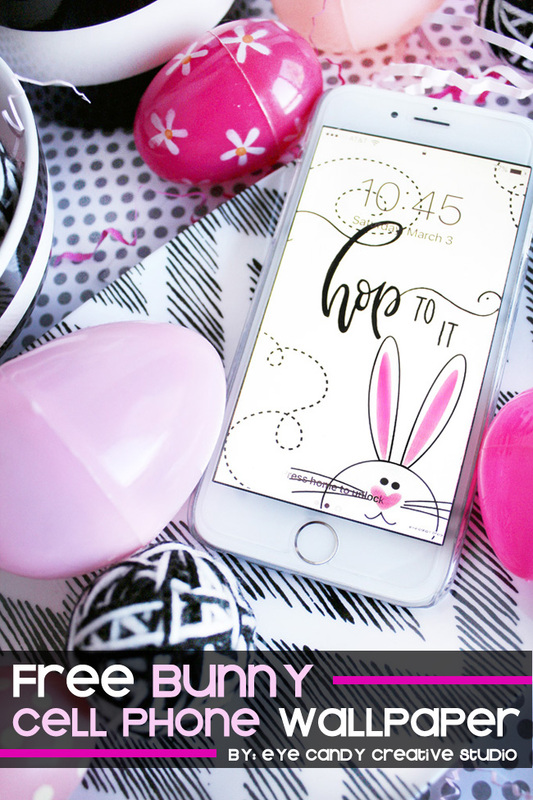 To grab this FREE download for your own phone and get in the mood for the bunny holiday, just head on over to the Giggles Galore blog (where I am a monthly contributor) and print this "HOP to It" hand lettered cell phone wallpaper for YOUR phone. It's available here for FREE and while you are over there, check out her blog as she has some amazing craft and party ideas as well that you will love! Do you think you have a great idea for me to create? Just shoot me an email at . . . laura@eyecandycs.com and we can chat about it! 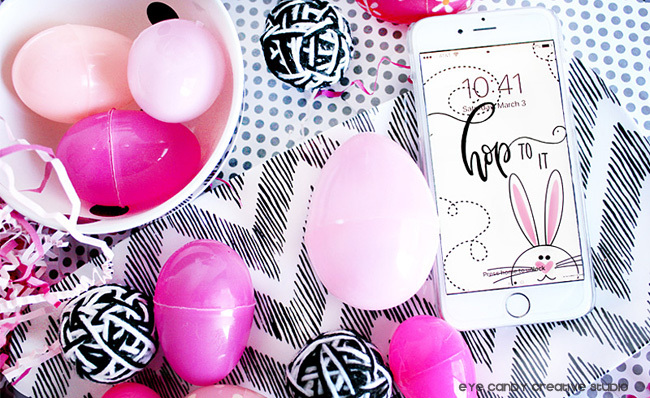 Don't forget to 'Hop To It' and have a fabulous Easter! Are you loving the "eye candy" here? Then join me over on Facebook, Pinterest, Twitter & Instagram so you never miss out on an exclusive deal or any behind the scenes photos! Check out my designs, artwork & decor in my Etsy shop!